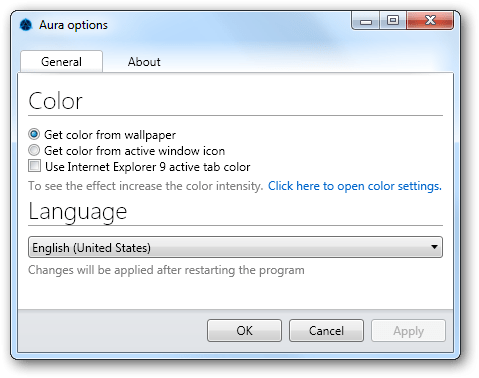 Aura is a free portable tool that allows you to get Windows 8 auto colorization feature in Windows 7 and Vista. The auto colorization feature automatically sets the aero color based on the average color of your desktop wallpaper. This tool can also set the aero color based on the average color of the icon of your active window. 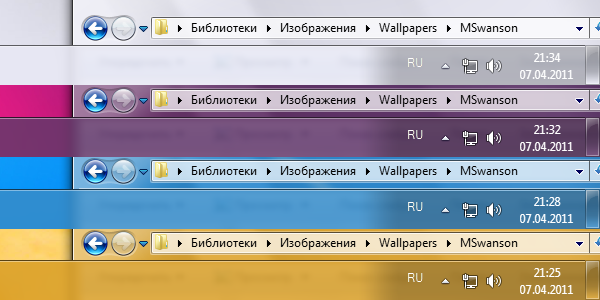 Just run the tool and it will automatically set the aero color based on the average color of your desktop wallpaper. To customize its settings right-click on its tray and select Options.